Here’s a taste of Bleeding Out by Imagine Dragons, featuring Jason, Gill and Melina. Thanks for listening! Don’t forget to like us on Facebook or subscribe on YouTube for the most up to date music, gig and behind the scenes news. We’ve been busy arranging and recording and arranging some more! You can always check us out on YouTube or Facebook to get the most up-to-date info, or check the media page. For now, here’s snippet of Gorilla by Bruno Mars. Thanks for listening! Tori Kelly’s first full-length album dropped today, and we covered ‘Should’ve Been Us’ as our second full-length video. Hey everybody! We recorded a video of our first full arrangement, Oil and Water by LIGHTS. 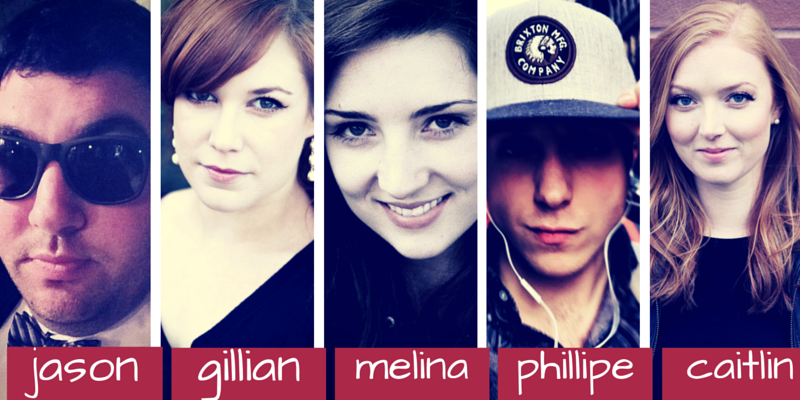 Meet Concrete: NYC’s newest vocal band! 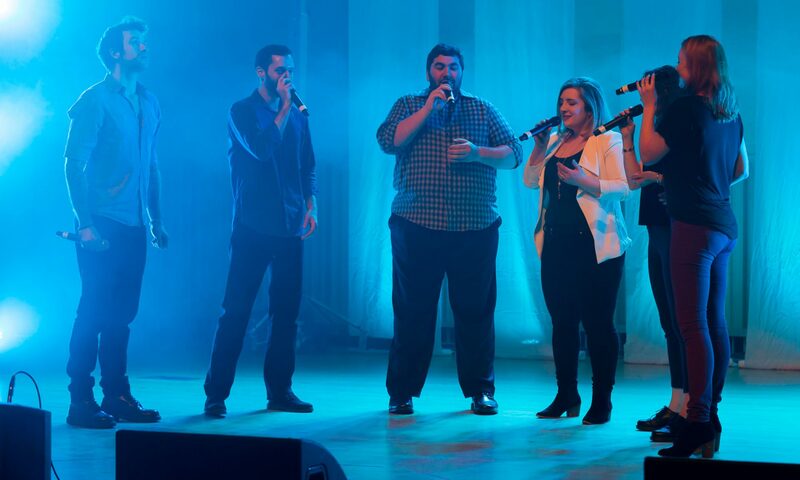 Made up of 6 voices, Concrete seeks to transcend traditional a cappella barriers to bring a cappella into the forefront of the music world. Here’s a taste of our sound, and visit our YouTube page for more! Based in New York City, Concrete was founded in 2015 by Gillian, Melina and Caitlin. Performing anything from pop hits and classic rock to holiday carols, Concrete aims to bring three-part harmony and a fresh sound to everything they sing. Melina, who hails from the NE corridor of I-95 (CT, MA, and VT,) is a classically trained coloratura soprano who learned that she had a knack for pop riffing in her college a cappella group, Diversions at Mount Holyoke College. She’s also sung with the Stonewall Chorale, Empire A Cappella, performed at Carnegie Hall and BAM, and participated in various community theater productions including Puccini’s La Boheme and Rodgers and Hammerstein’s Cinderella (title role). She founded Concrete in 2015 with Caitlin and Gillian, and says it has been one of her best musical decisions to date! Caitlin is a New York City based event planner and cheese aficionado. Originally from Tallahassee, FL, she graduated from Florida State University, where she majored in Music and sang with All Night Yahtzee, FSU’s premiere co-ed a cappella group. During her years in All Night Yahtzee, Caitlin served as the group’s choreographer and received “Best Choreography” awards at her 2007 ICCA Quarter and Semi-Finals, as well as the 2008 ICCA Finals, at which All Night Yahtzee placed second. Caitlin’s voice was featured on Voices Only 2009, singing Ben Folds’ “Missing the War” with All Night Yahtzee. Since graduating, she has served as music director of Boston’s The 508s, and as the founder and music director of Seattle’s Shot in the Dark. In addition to arranging for and performing with Concrete, she is the current music director of NYC’s all-female Empire A Cappella, and a member of the Founder’s Board for the Contemporary A Cappella League. Jason likes rainbows, kittens and Aaaron Neville songs. Philippe is a beatboxer, avid musician and aspiring home chef working in advertising. With his roots in Montreal, he’s also done time in Boston, Hartford, France, Austin, and New Jersey, and now hangs his hat in the Upper West Side. When not beatboxing in the streets or shopping for ingredients, he can be found sipping espressos in Parisian style cafes, swiping on Tinder and drinking $3 pints at Rudy’s in Times Square.